December 12th is one special day for all the innumerable Rajini fans round the globe. Yes, Superstar’s birthday is only 12 days away. His previous birthday saw the release of Lingaa. 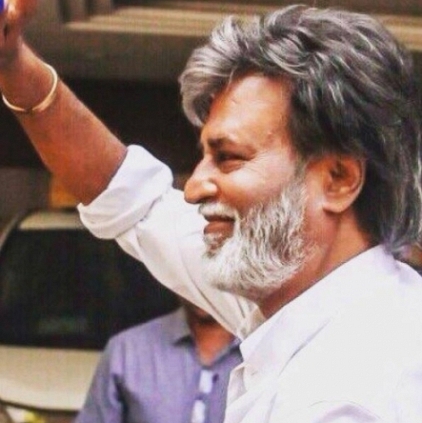 Are we in for any surprise gift this year from Rajinikanth and the Kabali team? Looks like Rajini fans will indeed have something to cherish. A new unseen poster is expected to be revealed on his birthday with the customary birthday wish to the Superstar. In fact, there are talks to release 2 new posters. Like the 2 earlier released posters, the new ones are also expected to be designed with some fresh new unexplored concepts. Vijay’s Theri intro song lyrics…. TN Box Office - How has Anushka's Inji Iduppazhagi fared? Rajini's Trip To Malaysia For Kabali Shoot Is Trending.